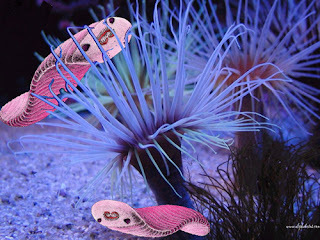 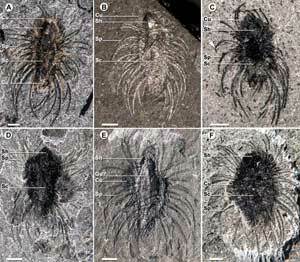 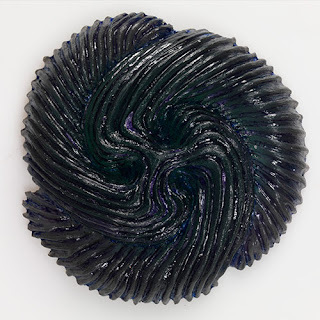 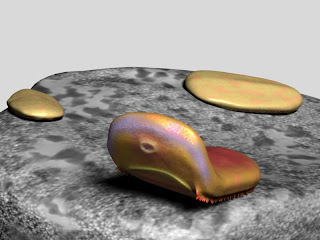 Xidazoon was an odd member of the Vetulicolia phylum. 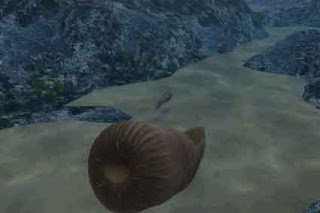 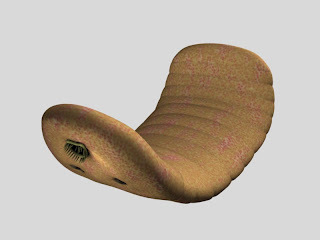 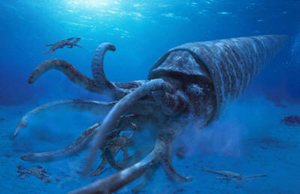 It had a round body with a flattened, oar-like tail, which it used to move. 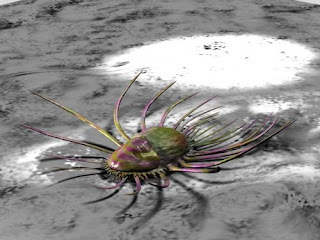 This image shows Xidazoon partly buried in the sand, probably as a way to hide from predators. 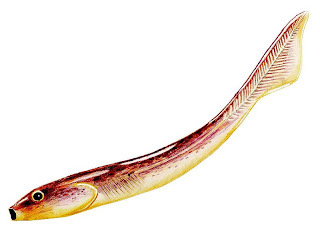 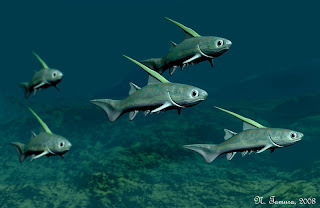 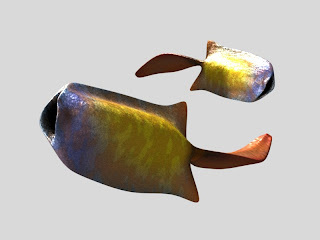 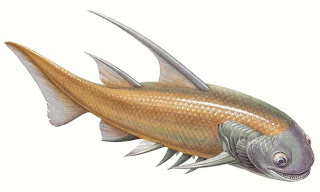 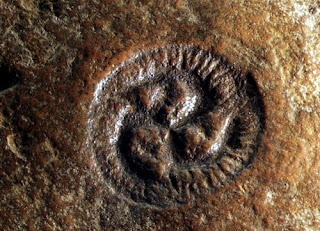 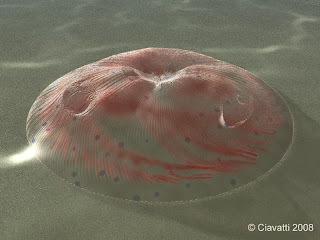 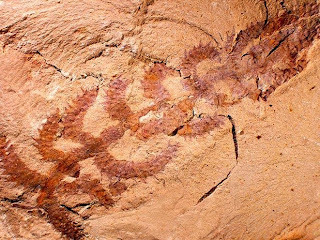 Xidazoon could have been a chordate, an ancestor of vertebrates, just like Pikaia. 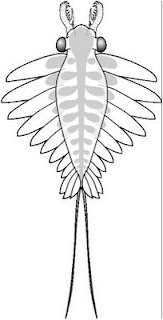 It had a v-shape of two spines at the tip of the tail. 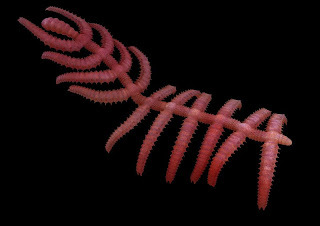 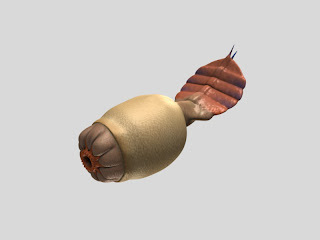 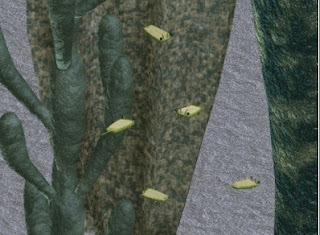 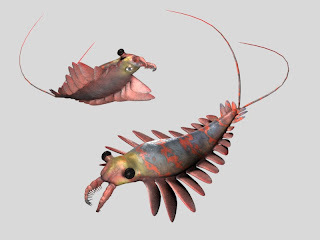 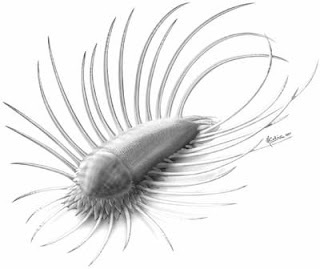 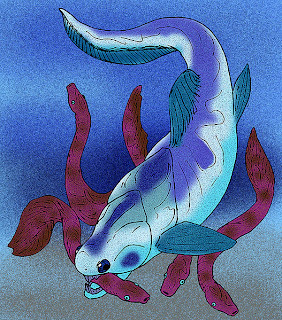 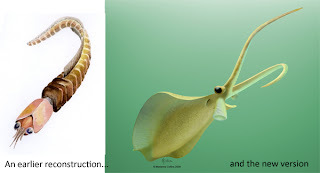 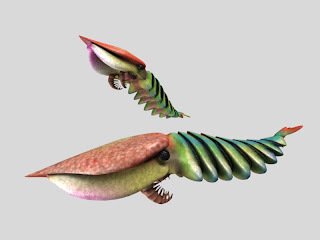 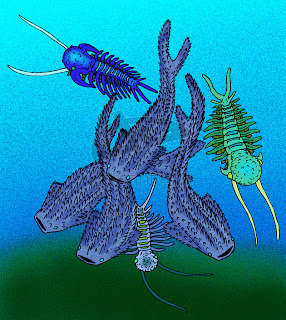 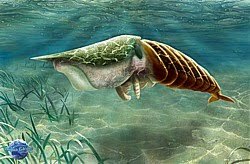 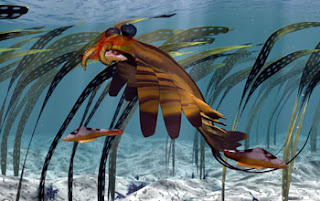 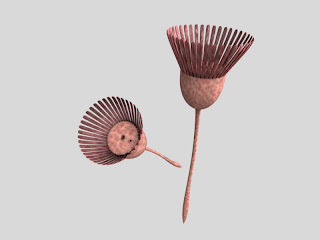 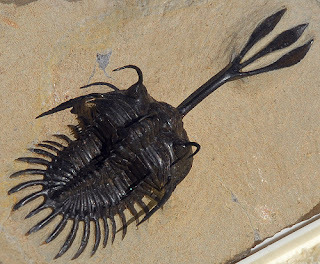 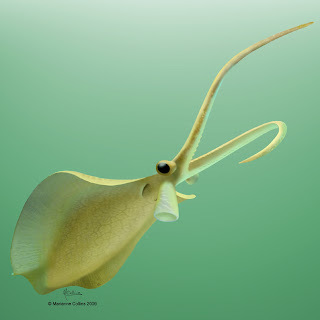 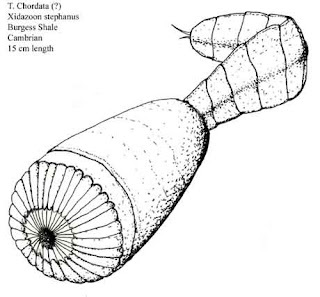 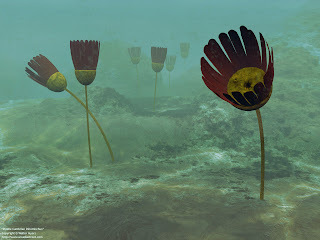 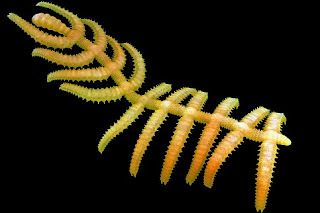 Xidazoon lived in what is now the Burgess Shale. 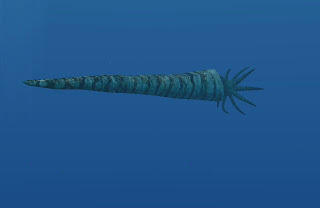 It was 15 cm long, or 6 inches. 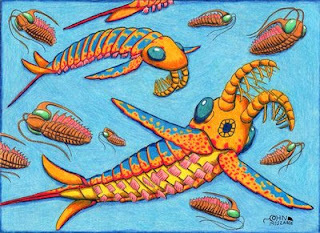 Xidazoon needed as much protection as possible. 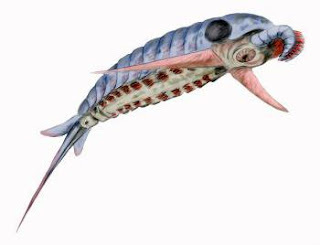 It needed a very strong tail and some spines at the end of the tail to whack predators if they tried to catch it by the tail. 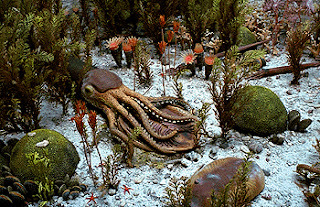 To hide it could have buried itself in the sand.